**WE DELIVER ANYWHERE**, **MOONROOF**, **NAVIGATION! **, **REAR VIEW CAMERA! **, **BLUETOOTH HANDS-FREE CALLING! **, **V8 POWER! - YOU WON'T BE ABLE TO DRIVE A V6 AFTER THIS! 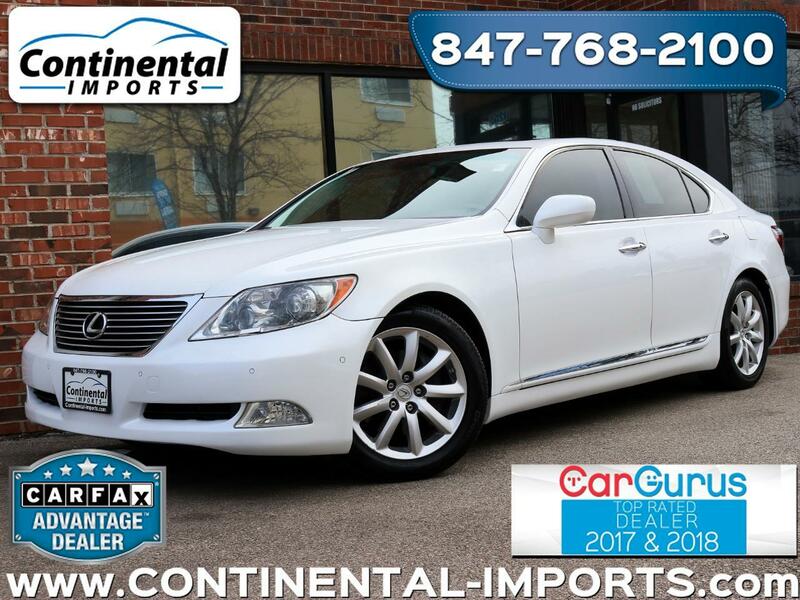 **, **HEATED AND COOLED LEATHER SEATS**, ** 6 DISC CD CHANGER**, **AM/FM/CD/SAT/USB/AUX**, **POWER REAR SUN SHADE**, **HEATED MULTI-FUNCTION STEERING WHEEL**, **DETAILED CARFAX SERVICE HISTORY**, **HEATED REAR SEATS**, **XENON HEADLIGHTS**, **TINTED WINDOWS**, **FRONT AND REAR PARK ASSIST**, **2 SETS OF FLOOR MATS**, **CARGO NET**, Back-Up Camera, Comfort Package, Front Climate Comfort Heated/Cooled Seats, Headlamp Washers, Heated Rear Seats, Intuitive Parking Assist, Navigation System/Mark Levinson Package, One Touch Open/Close Power Trunk & Door Closers, Power Rear Sun Shade, Reference Surround Sound Audio System, Wood & Leather Trimmed Heated Steering Wheel, XM Satellite Radio. Continental Imports has set out be a customer driven business. We will not accomplish it with promises but a process. This process starts with finding the perfect car, and understanding that perfection means more than just price. Each car is an individual, it has its own history and use that yields a very different product by the time it hits showroom floors. The team here at Continental Imports is sensitive to this fact, and we have crafted a buying process that guarantees our customers the highest quality products available at the right price. We aim to provide a car that will bring our customers immense satisfaction with their purchase.